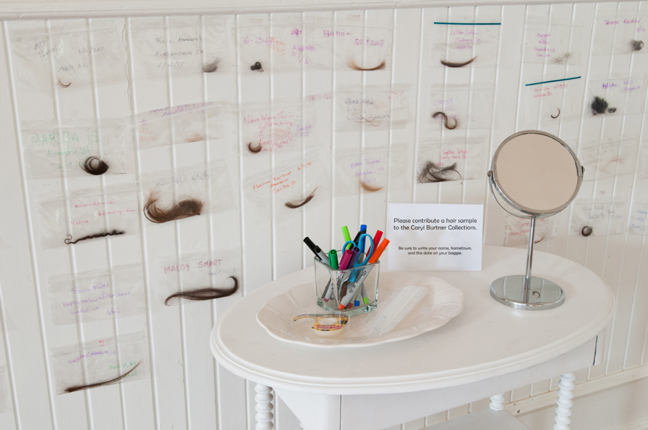 Hair Apparent in the Athenaeum Gallery May 30 — July 14, 2013. Alexandria, VA – The Northern Virginia Fine Arts Society (NVFAA) is pleased to announce Hair Apparent, a multimedia exhibit including sculpture, photography, assemblage, and performance. The show explores artists’ relationships with hair referencing cultural perception, myth, ritual, and memory. From a piece where a small girl’s hand mindlessly twirls hair around a finger to the sounds of childish sing-song; to an eerie photograph where two girls seems to share the same head of lustrous, red hair; to an artfully laid out chart of heads and the products and tools used to create the hair — Hair Apparent is about considering a private asset a public statement. 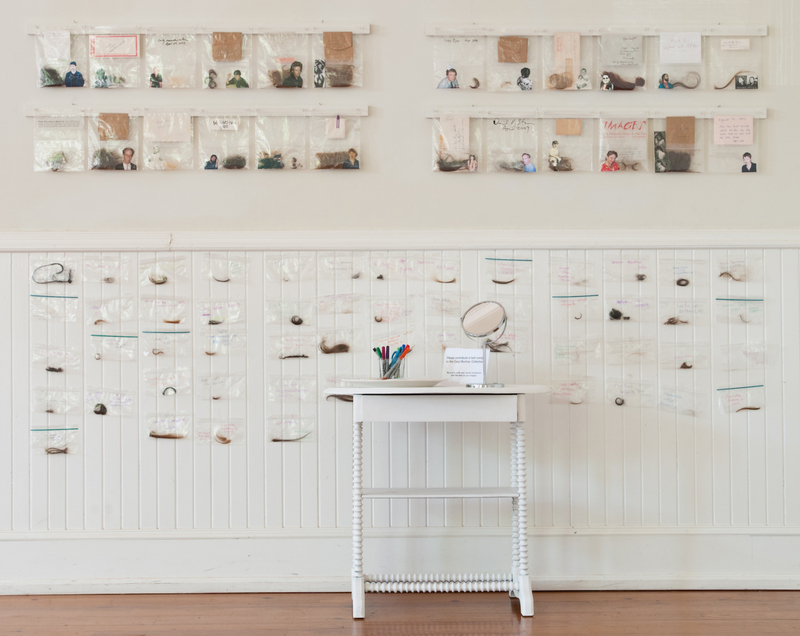 The opening reception on Sunday, June 2 from 4:00 to 6:00 (FREE) will include an opportunity for attendees to add snippets of their own hair to Richmond artist Caryl Burtner’s installation work. On Sunday, June 16 from noon to 4:00 Hair Centric Events (FREE) will be staged in the gallery. Holly Bass will perform Come Clean, a ritualized performance in which strangers are invited to wash the artist’s hair and engage in structured dialogue. By allowing others to wash her hair, the artist evokes the relationship between mother and child, as well as ideas of culture, identity, privacy, pleasure, renewal and surrender. Shelly Bell will perform her spoken word poetry and add a tactile component to the events. And Amber Robles Gordon will invite attendees to participate in her elaborate Hair Shrine.